Combine instant money with an incomplete transition to adulthood, and add believable characters, get a subtle study into human nature. 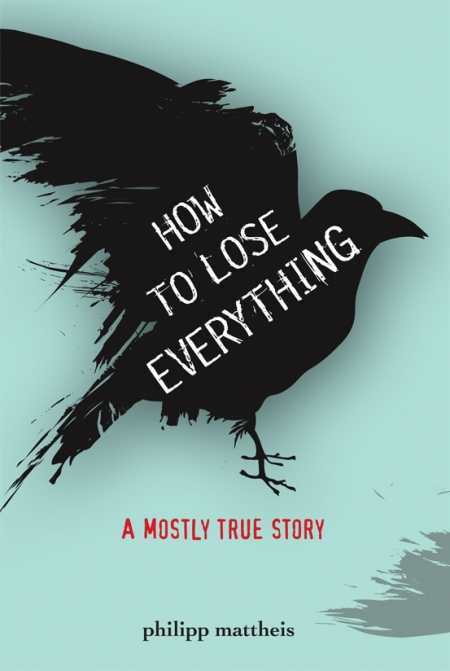 With How to Lose Everything, journalist and author Philipp Mattheis turns a simple and familiar premise—four teenage boys find a large pile of money—into an engaging and memorable story. He crafts a subtle character study about how several thousand dollars can give the protagonist and his friends just enough freedom to feed their more destructive instincts. As Mattheis aptly puts it himself in the book’s introduction, “this is a story about that strange period in between events,” of how the money skews the characters’ transitions into the next stage of their lives. The author says the book is loosely based on his own experience, and that shows in the way he crafts believable characters with well-observed interactions and dialogue between them. Each of the four teens at the center of the story feels like a real person: the stuttering and unconfident Sam; the wannabe bigshot, Eric; Schulz, the one group member with a steady girlfriend; and Jonathan, who recounts their story with the benefit of hindsight. Characters with limited ambition, the four spend their time hanging out in their small German town, getting drunk, getting high, and killing time at a skate park. The money enters the picture when the friends explore an abandoned house in their neighborhood and find thousands of marks, which they immediately begin spending. The story gets little details right in a way that makes these characters completely believable, straddling the line between the teenagers they are and the men they delude themselves into thinking they are. For example, when they find themselves suddenly in possession of more money than they’ve ever seen, the group’s first instinct is to overindulge on pizza every day. Without spoiling the plot, suffice it to say the money does change the boys’ relationships, but in a realistic and gradual way; a series of leaks rather than a flood. The writing works on the same level. Because Jonathan tells the story after the fact, what he includes—and what he leaves out or implies— gives a better perspective on him than could a third-person narrator. The book’s title points out one of its biggest strengths, as it’s less about what happens to these four characters than about the more interesting question of how it all happened.